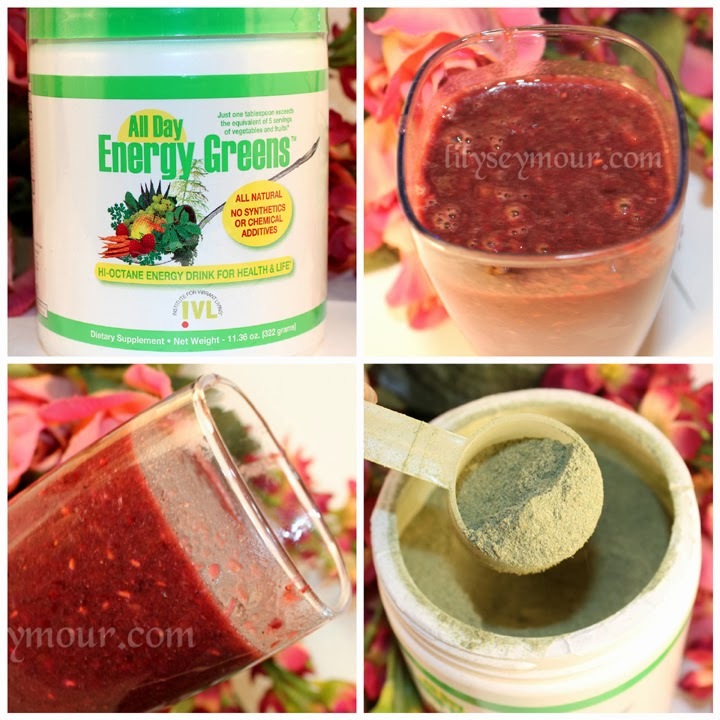 I was very excited for the opportunity to review the All Day Energy Greens Dietary Supplement Drink from the Institute for Vibrant Living (IVL) because I am partial vegetarian and my nutritional program includes a daily smoothie. While i'm no stranger to blended or frozen smoothies, I very seldom use raw vegetables because I just don't like the taste. I prefer using all kinds of fruits and adding my greens in the form of protein powders. 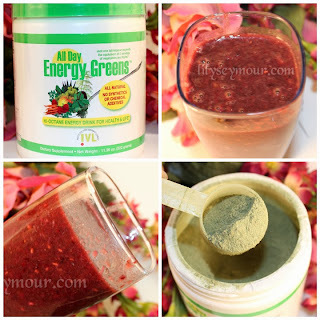 The All Day Energy Greens arrived at the right time and I couldn't be more happier to share my thoughts and opinion on this product. 1. 100% Natural- Free of Pesticides and Herbicides! We only use premier natural nutrients grown with ecologically friendly cultivation methods. 2. No Common Allergens- Contains no wheat, garlic, MSG, yeast, egg, dairy, animal products, coloring, alcohol or preservatives. 3. No Fillers- This concentrated super food formula contains no bran, rice or oat fillers. 4. Dissolves 100%- You'll love the way this finely milled powder completely blends with liquid to produce a light, refreshing beverage. Never coarse, heavy or thick. 5. 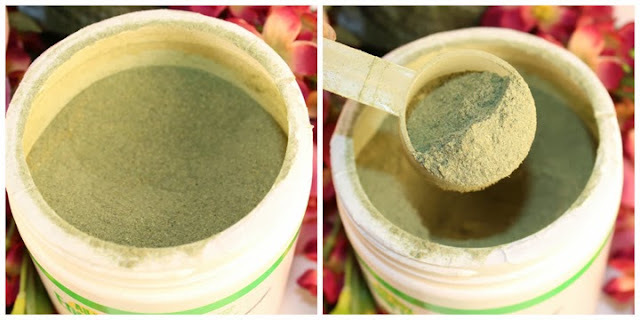 Easy to Digest- Your body absorbs All Day Energy Greens® completely and quickly as a whole food, not just a supplement. 6. Great Taste- You get zero empty calories and 100% great taste you'll look forward to every day. Flavored with stevia - a potentially effective aid in regulating blood sugar. No fructose, juice concentrates or fillers. All Day Energy Greens® lets you break the cycle of acid overload. Its all-natural alkalizing nutrients literally carry off the acids and flush them out through your kidneys. When you remove acids and toxins from your body and replace them with the goodness of greens, many positive health changes may occur. I prefer having smoothies in the afternoon in lieu of having lunch. I'm retired so I really only eat two solid meals a day which is breakfast and dinner and in the afternoons I like to have a smoothie because it keeps me full between meals. The All Day Energy Greens is completely tasteless so you don't have to worry about your taste buds or any bitter taste. Right away I've experienced an increased amount of energy and I've stayed full and satisfied until I was ready for my evening meal. My complexion has improved tremendously and i've also noticed a change in my nails. They were brittle before and now they're strong and doesn't break as much.